Last Thursday, the GSATi Family took a trip down to Denton's brand new co-working space, Stoke Denton, for the 3rd Annual Bootstrap Denton hosted by our dear friends of TechMill. Friends, family, and colleagues gathered together under one roof for a night of networking and community support for Denton's rapid-growing tech community. As the doors opened promptly at 6:00 PM, guests slowly made their way through the several entrances leading to the main event area, gathering near the Pan Ector live-printing station and the open refreshments area. The smell of hot grills from the present local food trucks wafted through the air into the open creative space, sending a few mouths watering. The event was otherwise free and open to the public, however guests were given the opportunity to purchase "VIP Passes," meaning an extra $25 earned you a complimentary TechMill pint glass and T-shirt, courtesy of the folks of Pan Ector. Refreshments were also open and available to the eligible guests, giving the atmosphere a very exclusive, trendy-esque feel. Turns out, us Tech folks know how to party, too! 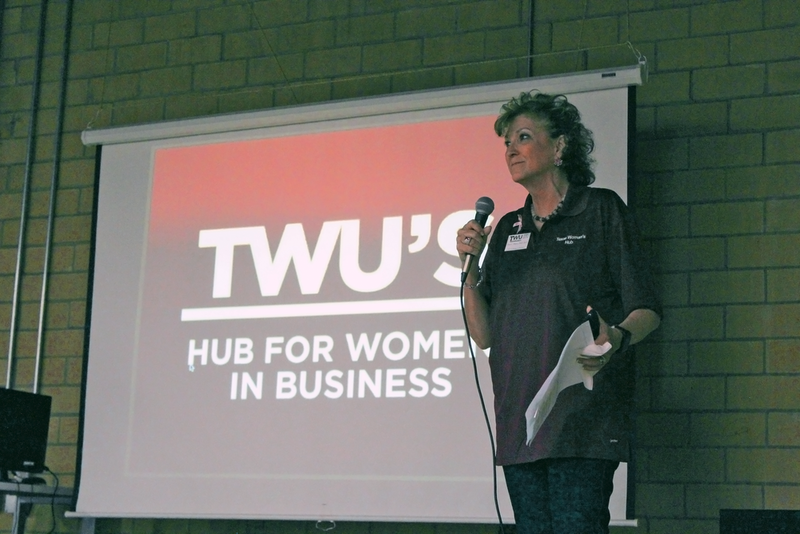 Once the crowd had mostly taken their seats, President of TechMill Kyle Taylor proceeded to welcome guests, discuss TechMill's goals and purpose, as well as introduce several local businesses and sponsors whom were present, eager to remain connected in Denton, and also hiring! Great thing about Bootstrap Denton? You can always find a job in Denton here. Immediately following Taylor's introduction, representatives from each business came up to discuss their company, including our very own Director of Business Services, Jason Bodor. Each company discussed its local history, current works in progress and available positions for hire. It was plain to see that our community is full of opportunities to grow and connect on the professional level, an aspect of Denton we've always loved. Once all formalities had been completed, i.e. the presenting of the "Bootstrapper of the Year" award to TechMill member [insert name here,] our friends at Future Gaming (?) 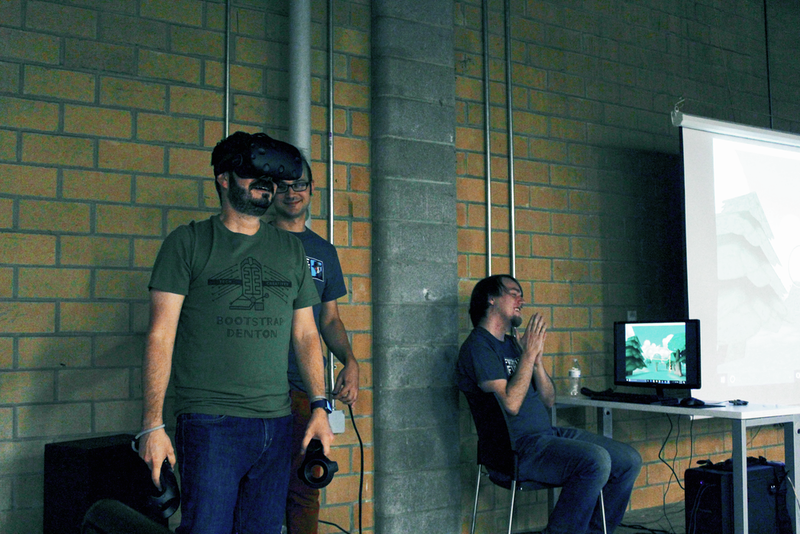 opened their VR Oculous Rift expo to Bootstrap guests. Individuals were given a pair of Virtual Reality goggles and two hand-held controls, one used to operate a stick-horse, the other to fight off enemies in a Minecraft-esque game of "insert game name here." Guests could idly watch fellow attendees attempt to control a seemingly easy game. However, it was apparent that this was a testament to patience and interactive skill! 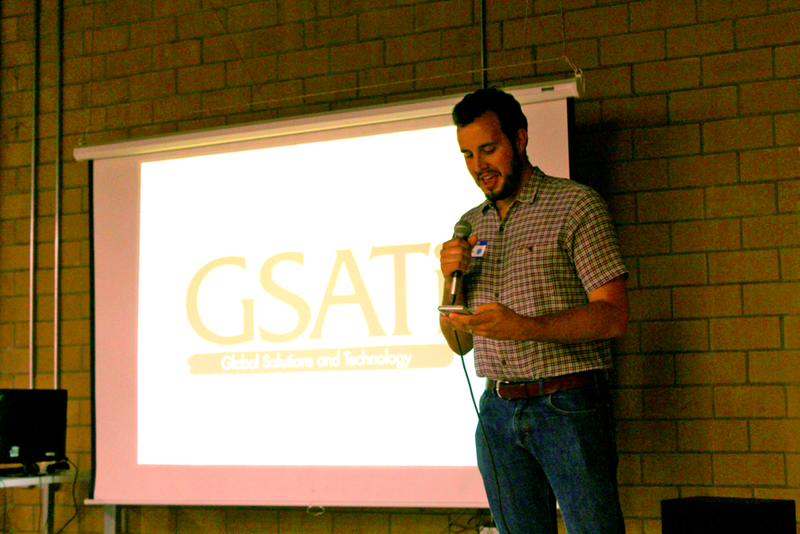 All in all, the GSATi Family had a great time seeing old friends and making new connections within Denton's Tech Creative community. We are so looking forward to the future of IT in town, all thanks to the passionate Dentonites that make up our creative little town. Here's to another year of Bootstrap Denton!